The Artica dining table has two extensions which are hidden underneath the surface. With a simple turn of a very discrete handle, the two extensions emerge automatically. 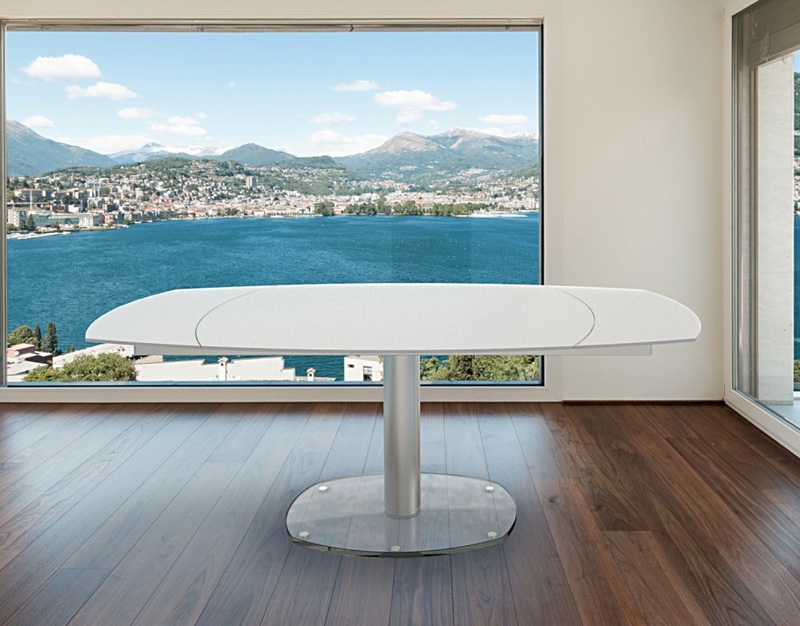 This simple sliding action transforms your dining surface from 130cm into a veritable feast of 200cm in length. The glass plate is acid-etched with anti-fingerprint finish.